Image Review: Displays the last image you have take right the shot for you to check. Playback: You enter playback mode by pressing the dedicated playback button to look all the photos on your memory card. Yes, that is correct, image playback is when you press the Playback Button to review and image; image review is the automatic display of an image immediately after taking the photo. I will email you a download link to the user’s guide, Nikon D5100 Experience. Axel; Can you mail the ebook to me if you have received it from dojoklo. Thanks for letting me know about the ebook. Thanks for sharing your Ten Tips and Tricks for the Nikon D5100. I bought the book on ibooks before I ordered the camera, figuring it would give me a feel for the D5100’s operations. Worked a treat as I’ve ordered it now. Stumbled on this site by accident – slow day at work – so I recommend the Nikon D5100 Experience as a great addition to the manual. It will get you off to a running start and you can read up on the fine (but dry) detail in the manual when you need more background to the features. Thanks! Glad you found the Nikon D5100 Experience guide to be helpful! how do I use the monitor on the Nikon D5100 to show the photo I’m taking rather than the info screen without using live view? You can’t use the LCD screen to show the photo WHILE taking it except by using Live View. You can view the image on the LCD screen immediately after taking it. I have a Nikon D5100. I think its great and this post is really helpful. One issue I have is when indoors, during the afternoon, when the inside house light is not that bright, but not dark to, I have my camera in auto mode. When the picture is taken, there is a dark shadow at the top of the picture. Does anyone know how to fix this? Are you using the flash? It may be a shadow from a longer lens or lens hood, created by the flash. Do you have a sample photo you can post on Flickr or Photobucket? I have even tried to reset the cameras automatic settings by removing the battery and and pushing the i and menu botton. Yes, I am using the flash. I did have the lens hood on. Took it off and still the same. When I change it to manual mode and adjust the exposure and shutter speed, the photo comes out good, problem exists just in auto mode. Its as if it selects the wrong setting. How can you increase your shutter speed? The shutter speed on my D5100 is only quick on the auto/flash mode. When I switch it to no flash or other settings, it takes forever. Can I change it in the information center? If you are working in Shutter Priority mode, Program mode, or Manual mode, you can adjust the shutter speed. A shutter speed like 1/125 should be good for general use, or a faster shutter speed like 1/500 or 1/1000 is better for action or movement. Or have a look at my e-book guide Nikon D5100 Experience to learn about these exposure concepts plus how to control and adjust them specifically with the D5100. I want to change my image size and image quality from the shooting menu, but it will not let me. These two options are gray (like it is locked) instead of white like the other options on the menu. When I try, it tells me that I am unable to change while in current settings. Also, when I go to print an image it is very pixely. I can not figure it out. Do you have any idea why or what I can do to make those options white and be able to change them on the menu? Appreciate your help! Thanks in advance! -Do you have a large enough memory card in the camera – at least 4MB or 8MB? I don’t think this would matter, but perhaps so. -Are you working in one of the still photo shooting modes and not in Movie Live View when you try to change this setting? -You may need to reset the camera. Turn off the camera, take out the battery for a minute or two, replace the battery and turn the camera on again. Then access the “Reset Shooting Menu” item in the Shooting Menu. Though you may need to do a full Two Button Reset by pressing the MENU and the [i] Button at the same time and holding for 2+ seconds. After the reset, set the Image Quality to JPEG-FINE and the Image Size to Large. If you wish to shoot RAW, set Image Quality to RAW. With any camera that comes out, there is talk of back-focus / front-focus issues on the forums. While indeed there are some instances of true focus issues with cameras, it is often just user-error (unfamiliar with how the AF system works) or a few people who may or may not have an actual issue, and it gets blown out of proportion – compared to the tens of thousands of users without an issue. That being said, I haven’t heard of any specific AF problems with the D5100, and it has been out for about a year or so. And I haven’t encountered any AF problems myself when using it. If you buy a new one from a reputable dealer, and you encounter an issue, they will allow you to simply exchange it. Or you can send it in for warranty repair. Hi. I’m new to DSRL photography and was wondering what the purpose was for the lens hood. Thanks! Hello, the lens hood is to shade the lens and help prevent unwanted flare and internal reflections. (Sometimes, though, flare is used for artistic effect: http://www.flickr.com/groups/405202@N21/pool/) The hood also helps to protect the front of the lens from bumps and accidental drops. What is the best setting to take moving picture without using a flash? ?it is possible? I see your note here recommending the FINE jpeg setting rather than the default NORMAL. I noticed that Ken Rockwell thinks BASIC is just fine. I have been using NORMAL on my D5100, not even thinking about it! My typical shooting session these days is outdoor daytime school sports. Memory card capacity has not been a problem (not even close). Typically I shoot about 300-500 shots and keep about 25 of them. At times I need to crop a bit, but generally not too much. Primarily I “publish” the shots online for the parents and kids to enjoy. Occasionally I might want to make big print. Would you still recommend FINE for my situation? Thanks. On a separate note, I stumbled across your blog explaining the different autofocus area modes and it was by far the clearest I’ve read – thank you! I would recommend the FINE setting so that you are saving the highest quality JPEG. You are putting lots of effort into the image capture, so why not save the best quality you can?! As you say, memory card capacity is no longer an issue, and image transfer times and storage space/ costs are no longer an issue, so there is no reason not to be capturing the best/ highest quality. Even if you rarely crop or enlarge, you will certainly want the highest quality for those times. If anyone is planning on purchasing the D5100, it is MUCH cheaper than what is listed here. I purchased mine on Amazon with the standard 18-55mm lens for $479.99 (plus tax)! Thanks for pointing out the current price. 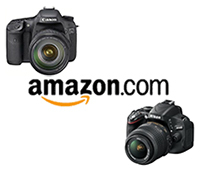 Since the introduction of the D5200, the price of the D5100 has dropped significantly. my playback is not working on my camera. even when I take a shot, it doesnt display on the screen. Even when you press the Playback Button, nothing? There is a menu setting for turning off image review right after you take an image, but you should still be able to hit the Playback button and see the images. If not, that is likely a camera malfunction. Also, it may be a faulty memory card – did you try another card? The inaccessible menu items may be related. But first, put the camera in A shooting mode and check the menu, and still image shooting not movie mode. Then make sure that you are not in the middle of Bracketing and that the Mirror Lock Up function is not enabled and active. Other than these suggestions, you should contact Nikon about this! Hope this helps. Thanks mate. Tried resetting ..wont work. You are right it happened after I had connected to a computer to download images. Looks like I might have to contact Nikon. Thanks for all your help. Try taking out the battery and leaving it out overnight. If that doesn’t work, I guess it is time to call Nikon. I have a D5200 and when I use rear curtain sync, it flashes at the beginning and end of the exposure. How do I stop the first flash? Hello, The first flash may be the pre-flash that the camera uses to determine the flash exposure. Or it may be the AF-Illumination lamp, which you should be able to turn off in the menus. In order to prevent the pre-flash, you would need to use “Manual” Flash Control Mode, rather than “TTL” Flash Control Mode. You will then need to set the Flash Level yourself, such a full power, 1/2 power, 1/8 power, etc. Hello, which shooting mode are you using? A, S, M, Auto, etc? Also, which Release Mode is the camera set for? Have you set an ISO speed that is appropriate for the lighting? Also, be sure to turn off Long Exposure NR, and confirm that HDR shooting, Bracketing, and Multiple Exposure shooting are not enabled. Make sure that the Custom Function for Exposure Delay Mode is Off. You may wish to reset all of the camera settings, to make sure one of the settings is not causing this. You can do a Two-Button Reset by pressing the “Menu” plus “i Button” I believe.